A blend of fruit & vegetable juices with guarana infusion + added vitamins. 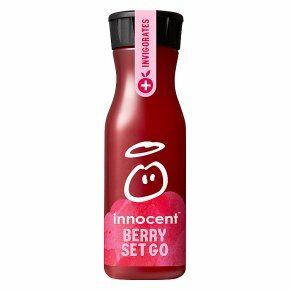 Raspberry, cherry, apple, goji, guarana + vitamins. Helps you go go go. Pasteurised. High in vitamins B1, B2, B3 & B6 which contribute to normal energy yielding metabolism and vitamin C which can help reduce tiredness and fatigue.